Melissa Lourie received her M.F.A. in Acting from the American Conservatory Theater in San Francisco. She was an equity actress for many years before co-founding the Hudson Valley Shakespeare Festival in 1987 with friend and colleague Terry O'Brien. 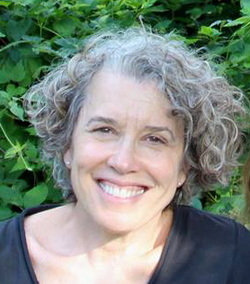 Lourie served as Producing Director of that company until moving to Vermont in 1993. Since then, Lourie has acted at Northern Stage, Vermont Stage Company and in several independent films. She was an adjunct instructor of acting and theater at the University of Vermont for over 20 years. Melissa is currently a member of the Courageous Stage team at Town Hall Theater, bringing Shakespeare to elementary schools throughout the region.